Paul Breitner is World Cup winner, a five-time Bundesliga champion, a two-time La Liga champion and a European Cup winner. The full back is also part of an elite club involving players who have scored in two separate World Cup finals. The defender’s career has been drenched in controversy surrounding his political leanings but the nature of his profession has led him to be dubbed a poser and a fake as he continued his career and lifestyle as a professional footballer. This paradox has made Paul Breitner one of the most interesting footballers of the modern game. At 18-years old he quit University in Munich to sign a professional contract with Bayern Munich. Often portrayed in the media as the intellectual rebel, the gifted footballer attracted attention from day one after posing for a photo in front of a picture of the Chinese communist revolutionary Chairman Mao. “Breitner acquired an image as a member of the political fringe ever since he was photographed in his younger years under a poster of Chairman Mao and declared his sympathy for Che Guevara,” German news weekly Speigel reported. 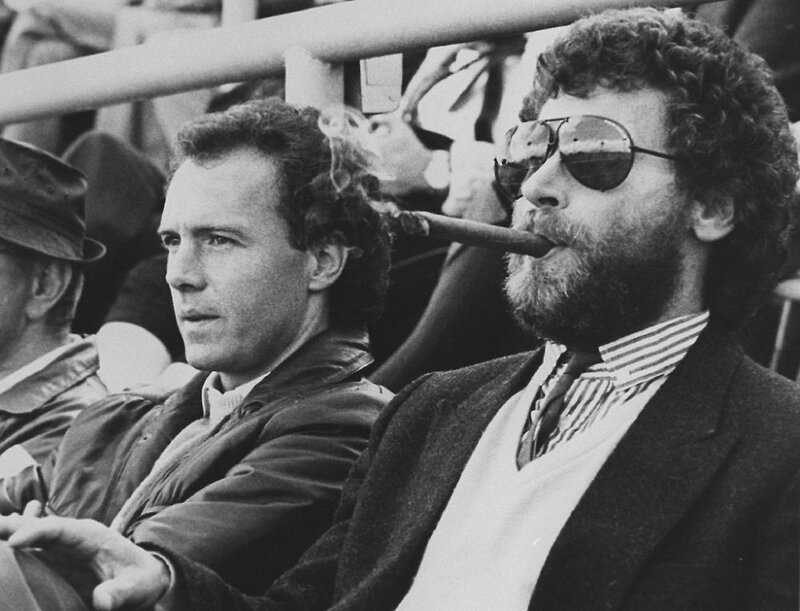 Described in the New York Times as “the newest hero of German counter-culture” Paul Breitner attempted to dodge national service while he was living with teammate Uli Hoeness as a youth. The West German authorities eventually caught up with him however and he was forced to clean the toilets of a nearby barracks at weekends, causing him to miss a number of Bundesliga games. In post-war Germany the dust of conflict was still settling amid the tension of East and West ideological conflict during the Cold War. The former Real Madrid and Bayern Munich defender has always been adamant and public over his left-wing political beliefs and toyed with journalists in interviews, leading to questions as to whether what he was saying was actually a serious notion. “It is true that the teachings of Mao are paramount to me, but a wider reading is of great interest to me and important to my thinking and my personality,” admitted Breitner to a western society being driven mad by the threat of communism. But the enigmatic footballer has clearly experienced an inner conflict with his occupation and his self-constructed beliefs. Upon leaving for Real Madrid the defender said the worst part of leaving Germany was that he’d have to leave numerous sports cars behind, which is not exactly a particularly bourgeois outlook. As he left for Madrid the German international described the Bavarian club as “nouveau riche money-based aristocracy.” Yet it is interesting to note that throughout his career he clearly struggled to come to terms with his own identity as a footballer with his political opinions. As he told kicker in 1972: “Only after training do I become a human being,” suggesting that football was not as high up in his moral standing as you’d expect. These views were as unwelcome in the newly created West Germany as they were in football but there is some debate as to with the German defender was just attracting attention to himself as perhaps Breitner knew that his ideals of socialism had no place or even necessity in football. Post retirement, perhaps as many people do as they get older, Breitner seemed to shun his political beliefs as he engaged in advertising campaigns for multi-national corporations Gillette and most sensationally McDonalds. Despite being a fantastic icon of 70s counter culture and a spectacular and deservedly decorated footballer it is clear that Breitner’s image as a political activist can be considered highly entertaining yet unfortunately flawed.